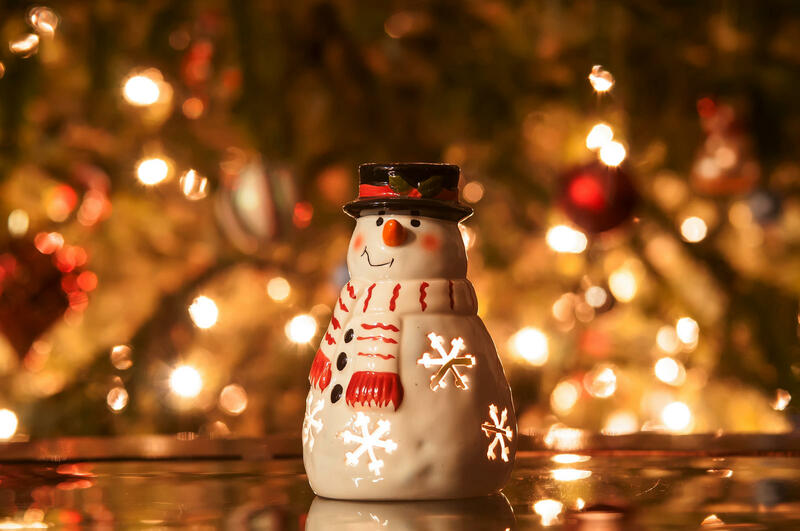 A snowman candle rests on a brown surface, festive lights in the background. The holiday season is time for special music old and new. It’s also time for wonderful stories humorous and poignant. We’ll hear music for the season performed by the Lightwood Duo (Mike Christiansen on guitar and Eric Nelson on clarinet). We’ll also hear readings for the season by the author of The Christmas Chronicles, playwright Tim Slover. The Lightwood Duo and playwright Tim Slover on Access Utah's holiday special. Unique. Versatile. These are terms often used to describe musical groups or ensembles outside the common, difficult to define. All these terms have been used to describe the Lightwood Duo, the pairing of guitar and clarinet through master musicians Eric Nelson and Mike Christiansen.